The unpleasant body odor arises when sweat, odorless in itself, reaches the surface of the skin. There starts its decomposition caused by gram-positive and gram-negative bacteria which are found on the skin. PERKOSUN cream deodorant controls the development of gram-positive and gram-negative bacteria i.e. it does not allow them to proliferate. This results in perspiring freely without any unpleasant odor. Normal perspiration is essential for preserving normal body functions. Moreover, PERKOSUN cream deodorant protects you for 3 whole days. This means that for 3 days you perspire normally without any unpleasant odor. During the period of 3 days you can have as many showers or baths as you like, without using again Perkosun. All the above statements are clinically proven by independent institute of researches for cosmetic products. Moreover, PERKOSUN cream deodorant is dermatologically tested. 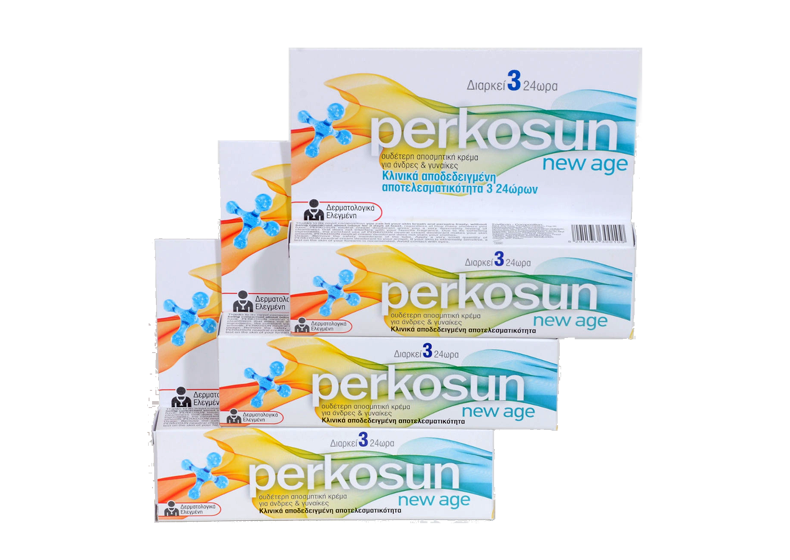 PERKOSUN cream is the only deodorant with clinically proven efficacy of 3 days respectively. PERKOSUN cream does not leave stains on the clothes since it is immediately absorbed. 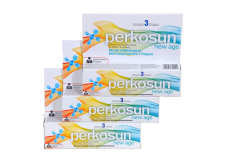 PERKOSUN leaves the skin soft and hydrated. PERKOSUN cream contains a neutral perfume of freshness suitable for men and women too, that does not interfere with your favorite fragrance. PERKOSUN cream is the most economical deodorant since one tube lasts much more than 2 months.